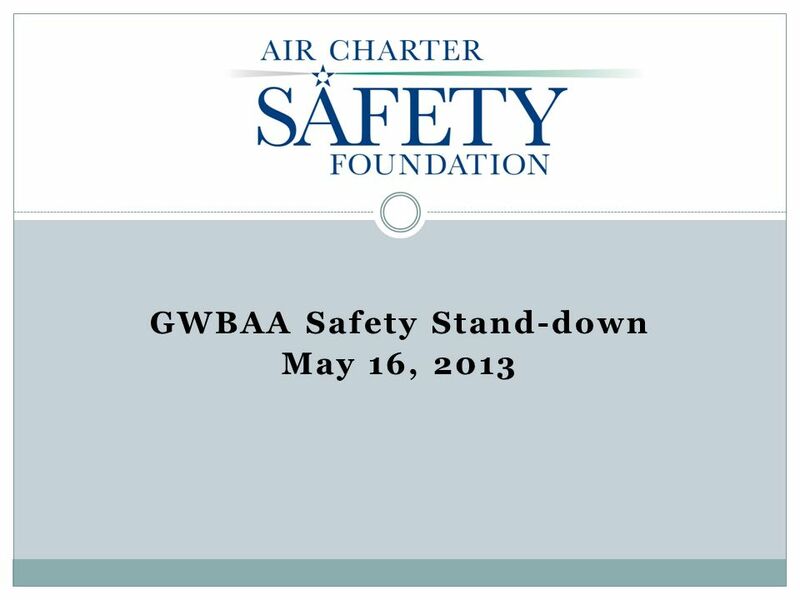 GWBAA Safety Stand-down May 16, 2013. 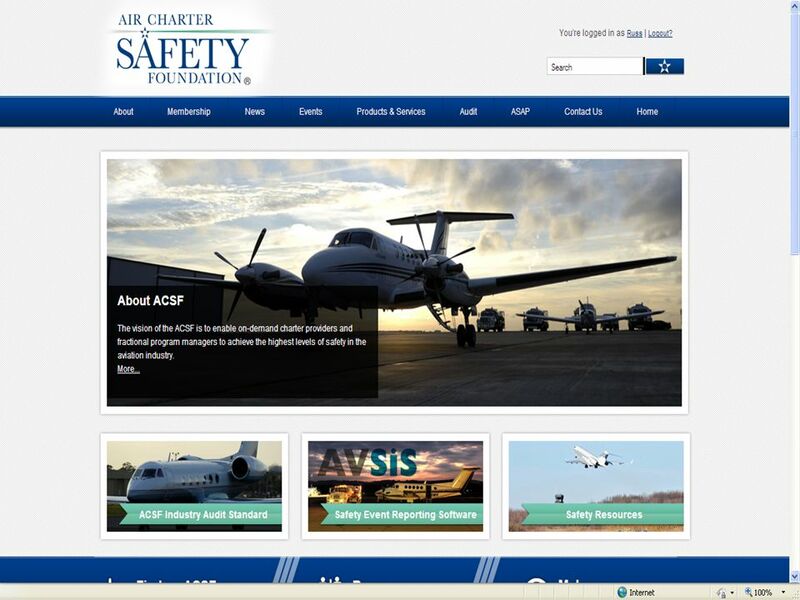 ACSF Vision The Air Charter Safety Foundation vision is to enable on-demand charter providers and fractional program. 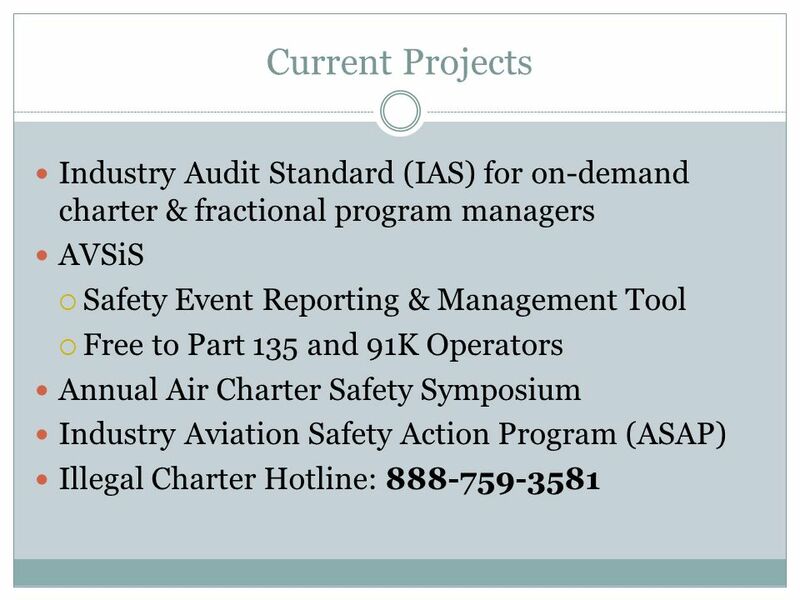 2 ACSF Vision The Air Charter Safety Foundation vision is to enable on-demand charter providers and fractional program managers to achieve the highest levels of safety in the aviation industry. 3 Our Vision 1. Promotion and facilitation of risk management programs, 2. Advocacy for industry adoption of one common audit standard, 3. Dissemination of safety information and, 4. 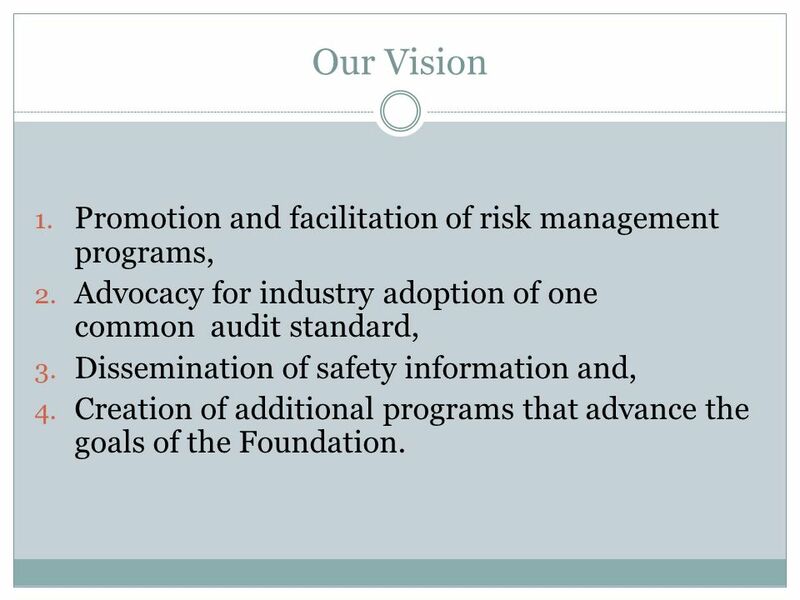 Creation of additional programs that advance the goals of the Foundation. 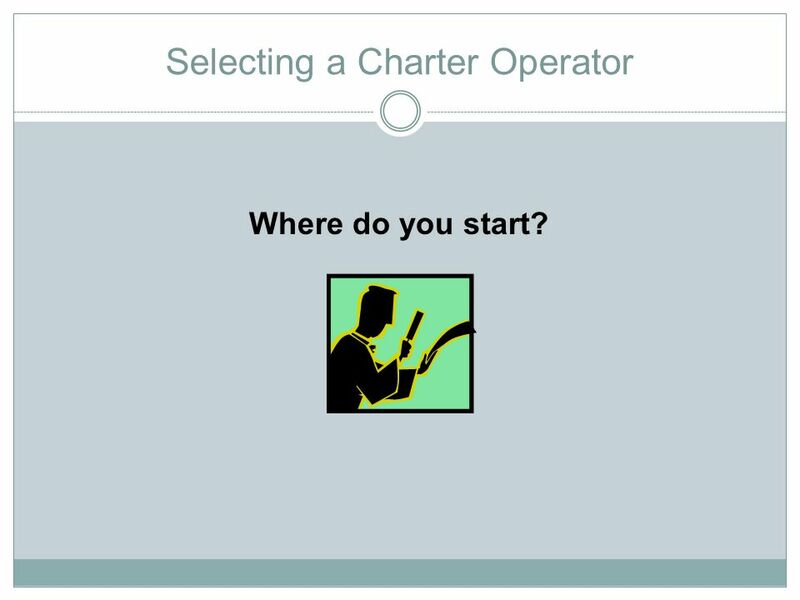 6 Selecting a Charter Operator Where do you start? 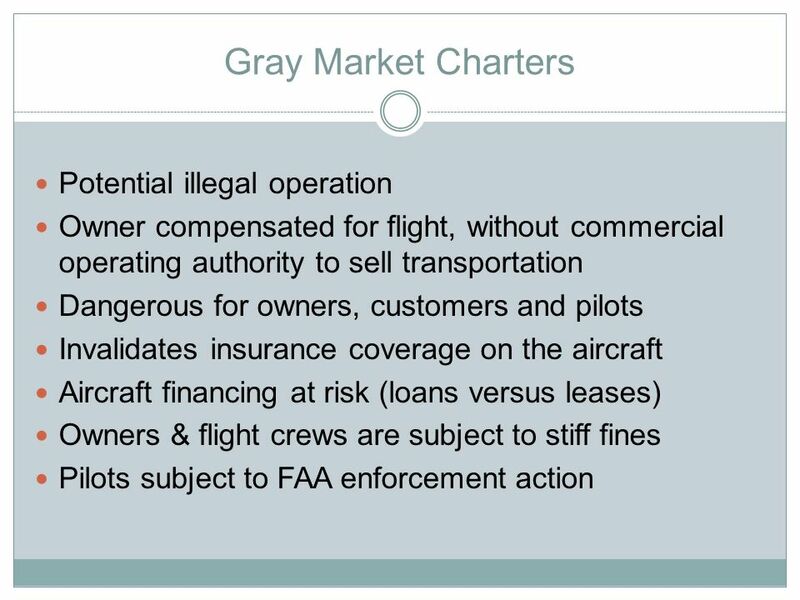 Download ppt "GWBAA Safety Stand-down May 16, 2013. 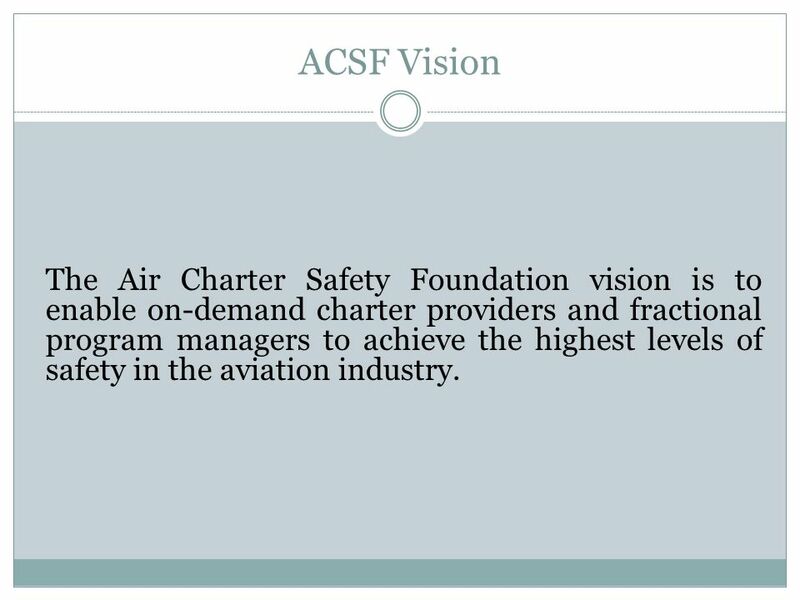 ACSF Vision The Air Charter Safety Foundation vision is to enable on-demand charter providers and fractional program." Integra Consult A/S November 2005Dhaka, Bangladesh Reporting - Inspired by ESARR 2 Workshop Dhaka, November 2005. ICAO/ASPA Regional Seminar Mexico City, Mexico April 2007. Kuala Lumpur, September 2005Capt. Carlos Arroyo-Landero / IFALPA IFALPA's view on LOSA. Critical Infrastructure Protection and Continuity of Operations A Look at Asset Protection in the Airport Environment May 1, 2013. ICAO Symposium on Aviation and Climate Change, “Destination Green”, 14 – 16 May 2013 Destination Green Partnership at work in the air cargo industry Celine. SKYSERVICE AIRLINES INC. SMS Savik Ramkay Director Safety Management System. 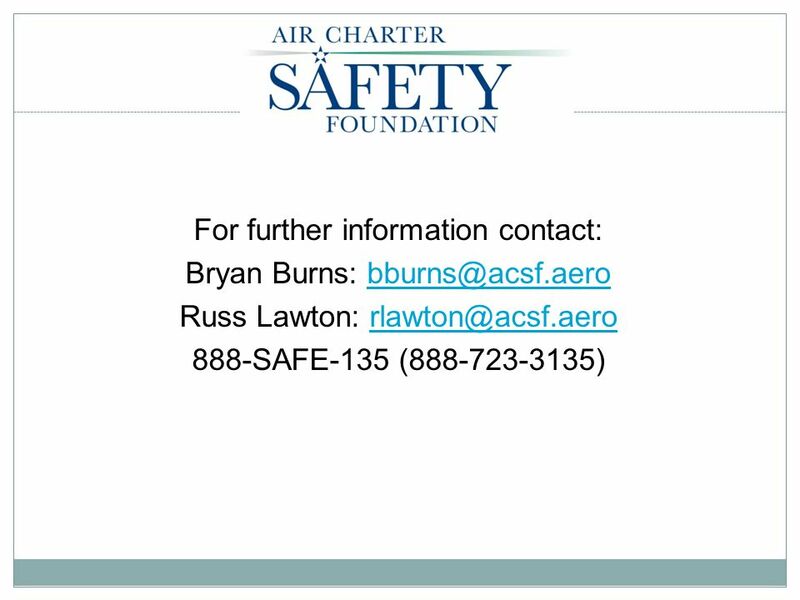 Presented to: 2011 AABI / FAA Academia Symposium By: John Duncan, Manager Flight Standards Air Transportation Division Date: July 14, 2011 Federal Aviation. 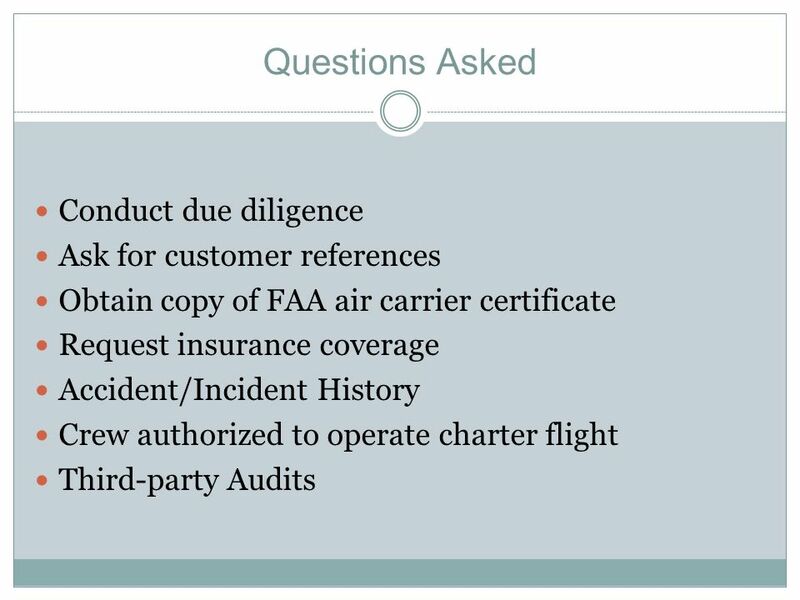 Office of Aviation Safety FOQA Programs, FAA Oversight, and SAFO Process Operations presentation. Presented to: By: Date: Federal Aviation Administration Federal Aviation Administration Breakout Session I: Regulatory Landscape April 26, 2010 Regional. Northern California Business Aviation Association (NCBAA) Welcome! “This workforce solution was funded by a grant awarded under Workforce Innovation in Regional Economic Development (WIRED) as implemented by the U.S. Department. The Canadian Federal Pilots Association Presentation to Conciliation Board Ottawa, ON - May 30 - June 2, 2002. 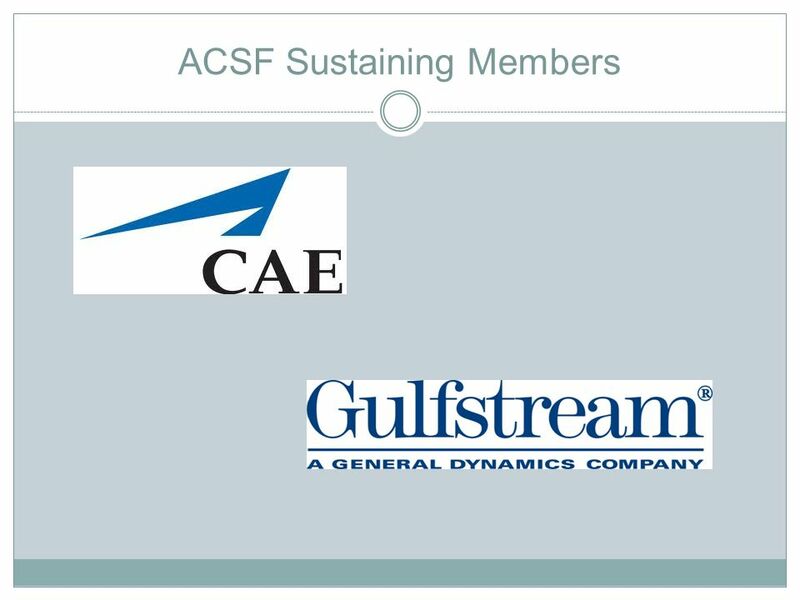 NextGen GA Fund, LLC A Fund to Accelerate NextGen Equipage Benefits for the General Aviation Operator Community. GROUP PRESENTATION AVIATION DOCUMENTATION DAV 2113 BADRULMUBSYIR BIN BABOO PB DEVAKUMAR A/L SANGGARALINGAM PB MUHAMMAD HANIF BIN ABD MUJAMIL. Cranfield Safety and Accident Investigation Centre Independent Investigation How it works in aviation Prof Graham Braithwaite. ICAO TECHNICAL COOPERATION PROJECTS IN INDONESIA 1973 to 2004. Textbook Reviews By Aj.Weerawit Lertthaitrakul Logistics & Supply chain management Business Administration Air Transportation A Management Perspective.